CJR Voluntary Participation—Should I Stay or Should I Go? Darcie Hurteau has worked in the healthcare industry for more than 15 years. For the last 10 years, Darcie has helped hospitals and other healthcare providers understand changes in Medicare's reimbursement systems. As Director, she leads the DataGen team that provides decision support and education to hospitals and health systems across the country as they prepare for health reform payment strategies. 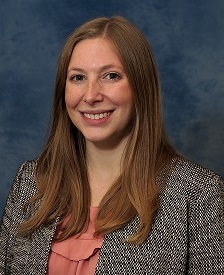 Darcie started her career in healthcare finance at Albany Medical Center in Albany, New York. This article has been co-authored by Alyssa Dahl, Principal Healthcare Informatics Analyst, DataGen. The first 12 months of the Oncology Care Model (OCM) have been a significant learning experience, especially with the data CMS is providing to participants. When the practices we work with received their first performance period data back in spring 2017, there were some surprises. This performance period data comes in the form of claims data, which is part of a feedback report issued by CMS. However, participants found that the data did not resemble what they were used to working with from the historic baseline period data. 1. The structure of the claims data is problematic. CMS is not providing episodic performance period data to practices until reconciliation. While financial performance will be based on episodes, the claims data currently being provided for the performance period is not structured for episodic monitoring. The claims data looks at each quarter in isolation as opposed to 6-month episodes of care. Additionally, the data includes every patient that had a visit with a particular practice, though not every patient will necessarily be attributed to or receive chemotherapy at the practice. The utility of the current claims data can be challenging for practices that requested their baseline data and now have the feedback report claims data as their only information on the performance period. At times, practices have had difficulty reconciling the differences between what’s displayed in this set of claims data, versus what the historic episodic data showed, versus the data in their internal systems. 2. There are consequences to retrospective attribution. Practices currently receive performance period claims data for a patient if they had an evaluation and management visit with the practice at least once in the time period. Whether the patient received a first, second, or third opinion with this practice—or even ultimately chose to receive chemotherapy treatment elsewhere—each practice he or she visited will still receive the data. This creates a lot of noise and confusion for practices, who have to sift through the data to try to reasonably estimate which patients will ultimately be attributed to them. 3. The claims data does not contain standard payment amounts. To reasonably assess and monitor expenditures against a target price, practices need to know the dollar amount Medicare paid providers (less any supplemental payments that were specific to a provider), neutralized for geographic differences. This issue was brought to CMS’ attention by DataGen earlier this year. We have received confirmation that the data will be provided beginning in the quarter 4 data release, which is expected sometime in November. 4. There are gaps in the claims data. CMS redefines a practice’s beneficiary population in each feedback report. The resultant timing and frequency of evaluation and management visits for patients can lead to their claims information being dropped between data feeds. Other gaps in the data occur from the extraction of claims in isolated quarters across time without any refresh of claims for prior periods. DataGen brought this issue to CMS’ attention as well, and we anticipate the first refresh of claims for prior quarters to be provided with the quarter 4 data release. 5. There is a lack of transparency around target prices. The claims data does not include the classification of beneficiary factors used to set episode target prices. For example, patients who receive cancer-related surgery or beneficiaries who are residents of a long-term nursing home are not identified as such—and a target price cannot be calculated without the known values for these factors. While practices can attempt to formulate proxy episodes out of the claims data, they are unable to determine what a reasonable target price would be without the classification of beneficiary factors. The feedback reports do contain financial benchmarks against which practices can compare their current expenditures; however, the risk adjustment for the payment information is different from the methodology that will be applied to risk-adjust the target prices for performance-based payments. 6. The timing for reconciled data is tricky. OCM will have a total of 9 performance periods, but participants will not receive their reconciliation results until well over a year after the episode was initiated. This is a significant consideration because to continue taking one-sided risk, practices have to achieve a performance-based payment by the fourth performance period, ending in 2018. If they don’t achieve a performance-based payment by the end of 2018, practices will have to either take up 2-sided risk or leave the program entirely. Many practices are concerned that they will not have enough time to impact the cost curve with program evaluation and well-informed interventions between the time they learn the outcome of their first performance period, and the time they will need to decide whether or not to stay in the program. Though the data are challenging to analyze and use, practices participating in OCM without data are going to be in the dark. The good news is that, through the data CMS provides, practices have access to what happened to patients in their own facilities in addition to claims for all other care their patients received during the time period. Practices need access to data from across the entire continuum of care to develop strategies to improve the quality of patient care and to ensure their overall success in the program. This ability to analyze and act will be especially critical later in the program when practices will have to decide whether or not they are prepared to take on 2-sided financial risk.